During the past 12 months, more and more photos of deep space objects have been appearing in online forums dedicated to EAA (Electronic Assisted Astronomy). The amazing thing is that these photos are taken with the camera in smartphones, and more importantly, from heavily light polluted regions of the world, where nearly any scope cannot see these objects. This is possible because Night Vision Devices (NVD’s) multiply the light gathered by the telescope effectively doubling the aperture or more. Night Vision (NV) was developed years ago for use by the military and for a long time, hunters have used it for night time excursions. 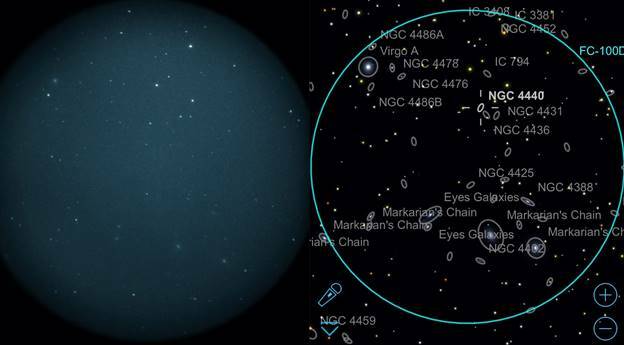 Its cost ranges from $1500 to $4000, but it can be much less expensive than a larger telescope, and even the largest scope cannot see many of the objects that NV reveals. It produces a real-time image that is sensitive to light in the visual spectrum, peaking in the near Infrared (IR) and when used with Hydrogen-Alpha (H-a) narrow pass-band filters, reveals nebulae that are normally only seen with such clarity in long exposure images. When used with long pass IR filters between 600 and 700nm most of the spectrum from light pollution is eliminated, allowing real-time observations of many edge-on and elliptical galaxies and globular clusters under extreme light pollution. You will see EAA, NV, NVD’s, H-a and IR, used in this article…now you know what those letters mean. Astrophotography usually involves a LOT of dedication, equipment, adapters, computer skills and time. But what if you could drop a NV eyepiece into your telescope and get a good snapshot of the real-time image you are seeing? No averted vision. No complicated gear, no computer and no 12v batteries. Most of us don’t even change telescopes from the one we’ve been using for visual astronomy with glass eyepieces. Hmmmm. Is it possible to take a snapshot in a few seconds and use it to preserve the image instead of writing notes about what you’ve seen? Is it even possible to SEE galaxies, globulars and faint nebula from an urban setting with extreme light pollution? We would like to prove that you can. 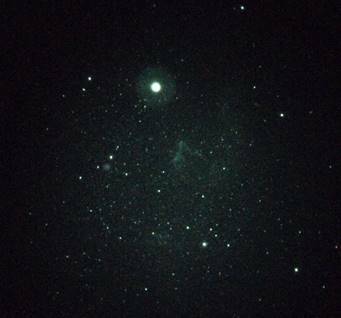 We are three amateurs who use NV and our phones to capture images of globulars, galaxies and nebulae. There is a difference in how photos look when they are taken from heavily light polluted locations compared to darker observing sites because NVD’s do not discriminate about the light they enhance, but imagine being able to see AND photograph these objects between the city buildings in a white zone like London or San Francisco. These are phenomenal achievements in technology. And, it is simple to use. We three all use a telescope, NVD, an IR and H-a filter, a phone and a holder to attach the phone to the eyepiece to take the photo. But there are differences in our equipment…as we shall explain. When we started this collaboration, all three of us used an app to give us greater manual control of the camera - NightCap Pro (on iOS). This application allows us to set ISO, shutter speed, white balance and focus, as well as controls to boost light and decrease noise. It also has a special mode called Long Exposure which automatically stacks photos for up to 60 minutes, although none of our stacked images exceeds 15 seconds. Stacking photos does not make them brighter, it simply averages the photos taken to smooth out the grainy appearance of a single photo. 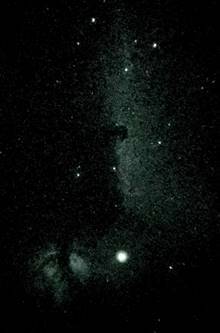 For example, the photo on the left below, was a single exposure of the Horse Head Nebula in Orion, ISO 1250 for 1/2 sec. exposure. The photo on the right was taken at ISO 1856, for 1/2 sec exposure stacked for 4 seconds…which means in 4 seconds, the phone took eight 1/2 second photos which were processed and averaged by NightCap. The image required no post processing. But as technology races forward at an ever faster pace, Gavin now uses a new Samsung phone which allows for single exposures up to 10 seconds instead of iPhone’s 1/2 second maximum. There is a visible difference in this performance improvement, especially when used in conjunction with a tracking mount for longer exposure times. To take a single exposure, you can hold the phone’s camera lens over the NVD eyepiece and click. To take longer photos, we employ a bracket to hold the phone steady over the NVD eyepiece. We each use a different bracket and we’ll report on them individually. We also use different H-a or IR filters to reveal these objects. Our photo examples highlight H-a objects because we can see them in real time with our NVD’s. 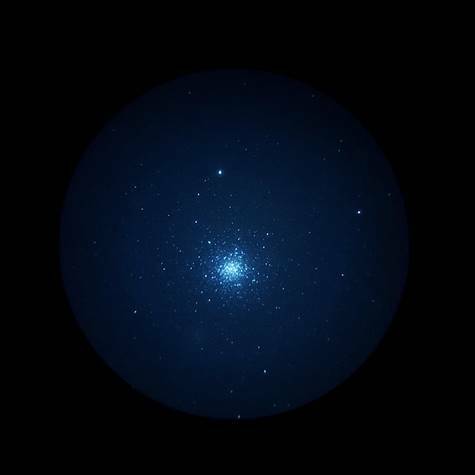 But NV used in a telescope will also reveal Globular Clusters as many observers have never seen them…they can be stunning and are so bright that the regular phone camera can be used in automatic mode for a snapshot, without using a tracking mount. Galaxies, especially edge-on, are also nicely enhanced. Finally, there is a distinction in how NV phone photography is employed. There are two ways to use the NVD in combination with the telescope. In prime, the telescope is the lens; a 1.25” or 2”nose is put on the NVD, placed in the focuser or diagonal like any eyepiece and the telescope is used to bring the image to focus. Reducers and Barlows are used to reduce or increase magnification which also changes the scale of the image. In afocal, a regular glass eyepiece is used in the focuser or diagonal, then the NVD with its own focusing lens is attached to the glass eyepiece using an adapter; the phone in its bracket is then attached to the NVD eye lens. To change magnification and image scale, you change the eyepiece, but reducers and barlows can also be used with the afocal method. All three of us are amateur astronomers. We paid for the equipment we use and none of us has any financial interest in any business or industry associated with that equipment. Nothing has been loaned to us to test and we have not received any type of benefit for our opinions. We came together to write this article so that those interested in taking astro snapshots with their phone, using an NVD might find a more direct path than we did. I live in South-West London, UK. It’s not the best place for an astronomy hobby particularly for DSOs. I purchased my first scope 5 years ago, although I was very interested in space as a child of the 70s. I have 8 scopes, 6 APO refractors varying from 60mm to 160mm, one solar Ha scope and a very recently purchased C11 (purchased solely for NV). I am a visual only astronomer and have no experience of taking photos – I operate cameras very much on point and click! Most of my observing takes place in my back garden in London (SQM 18-18.5). 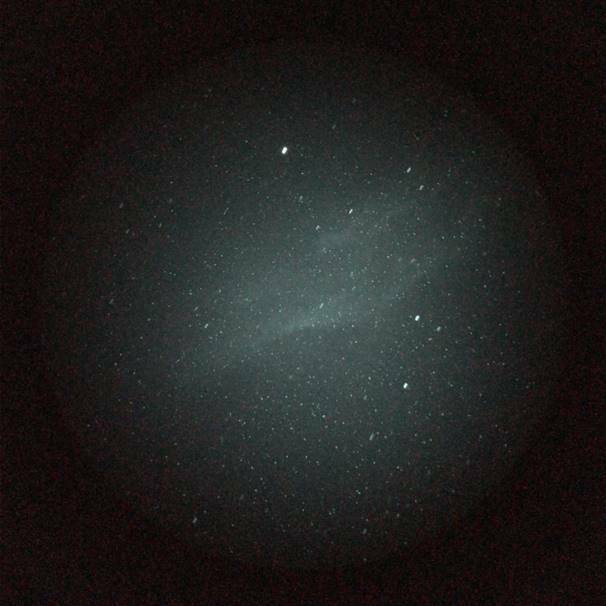 However, I do go to an astro club meeting once a month which is 10 miles away and has slightly better skies (SQM 19.5ish). 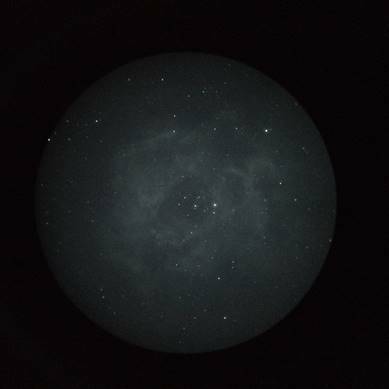 In addition, we have a holiday home on the Isle- of Wight, in southern England, which has much better skies (around SQM 21), but due to space limitations only take a 100mm refractor for observing there. So far most of my NV observing has been done with either my TEC160 or my C11 depending on the objects I am looking at. Being based in Europe does cause major issues with NV due to ITAR restrictions. I am not able to get the latest Gen3 tubes available in the US, and had a very limited range of options (eg no Mod 3 type available). After a good deal of research, I purchased a PVS-14 from Luxembourg with one of the newly launched European Photonis 4G white phosphor tubes (this is effectively Gen 2 plus technology, but is much closer to Gen 3 in performance than previous Gen 2 tubes). However it still lags behind the best US tubes with a FOM of around 2000. Using a PVS-14 means that I am restricted to afocal observing only. However, it has enabled me to utilise the benefits of NV in Europe, which only last year would have been very tough. In addition, I’ve grown really to like the afocal approach since it allows me to reduce the focal length of my existing scopes to where it really needs to be (ie less than 4). I’ve also started using focal reducers in conjunction with the afocal approach which has reduced the f ratios even further (down to 2-2.5) which has provided even brighter viewing of dim objects. I haven’t found the long eyepiece/NV setup a problem since the PVS-14 is so light. If a focuser can take an ethos 21mm then it can take the plossl/NV combo imo. Another key element of my equipment is my mount. For the first 4 years of observing I used manual alt az mounts which I liked for their ease of use and simplicity. 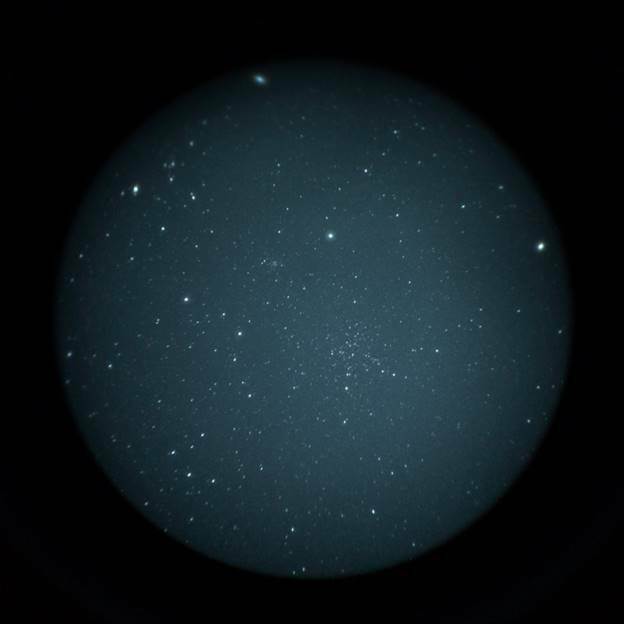 However, last summer I acquired a newly launched skywatcher az gti goto mount – I loved it and found it greatly enhanced my viewing pleasure particularly in my LP skies where it is difficult to star hope. 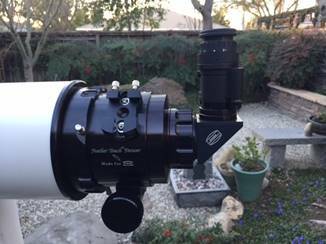 The Az Gti works well for smaller scopes up to around a 4 inch refractor, but I wanted one that worked with my bigger 130mm and 160mm refractors – enter the Panther TTS-160. I’ve only had the Panther for 3 months but again its transformed my viewing with my larger scopes. The goto is great but I also find the tracking extremely useful and enables me to concentrate on objects more without having to move slo mo cables. Another benefit is for taking NV phone photos where the tracked enables me to easily use 10 or 15 second exposures to give better results. with the NV in afocal setup with the various adapters. In terms of filters, I’ve tried a few, but now seem to have settled with a 6nm Ha astronomik for nebulae and a baader 685 ir pass for stars, galaxies and clusters. I have 2 inch filters to attach to the bottom of the 55mm plossl and 1.25 inch filters to attach directly to my pvs-14 for 1x and 3x viewing using adapters from rafcamera. Use of NV vision technology is very rare in the UK (I know of only one other user) due to ITAR restrictions and difficulty of getting NV tubes good enough for astronomy. 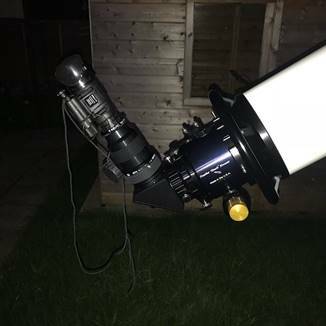 However, fortunately, the other user of NV tech in the UK is also a member of my local astro club, so I was able to use some kit before I purchased mine. His tube uses an older green tube and does not have manual gain, and I found the scintillation distracting, but I could see the benefits. So once I found a European supplier for the white photonis 4g tubes I decided to go for it and I’ve been delighted with the results. I think for someone who usually observes from a LP area, NV is a real benefit since it expands the types of objects you can see so much. Its really reinvigorated my observing. Before getting my NV kit, I was a strictly visual only observer. However, when I ordered my tnvc adapter from the US, I decided to go for the tnvc photo adapter and televue fonemate as well since it was available as a package deal from tnvc. My brief thoughts on this is that this would allow me to potentially keep a photo record of the objects I observe (both with and without NV) that I can refer back to over time, without taking notes or sketches at the eyepiece. I am not a talented artist (in fact art was my worst subject at school!) and I don’t have the inclination for note taking at the eyepiece. So the idea of getting a file of iphone images over time really appealed. I have an iphone 7 that I use with the fonemate adapter. I have also recently received the newly launched Samsung S9 which has better low light performance and, in particular, is able to do a full 10 second exposure (unlike the Iphone which is limited to less than 1 second). The main advantage of NV astronomy has, for me, been the ability to see many more objects from my LP back garden than previously. 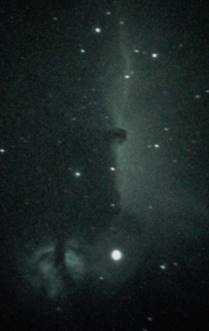 It shows bright stuff better (with some exceptions, see later) and it shows some previously invisible stuff such as the horsehead nebula. Seeing difficult to see objects has been a real thrill for me. 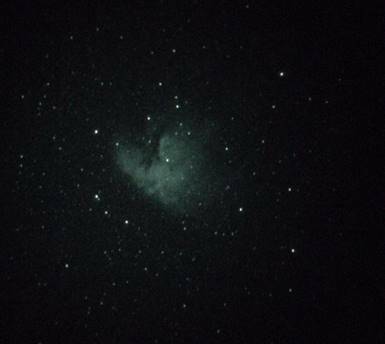 NV is best on emission nebula, using a suitable Ha filter. However, I’ve also found it provides significant benefits on globular clusters and galaxies using a 685 IR pass filter. In terms of disadvantages, NV is a bit more cumbersome in afocal mode than a normal eyepiece (but no more really than a heavy 2 inch eyepiece) and NV is not suitable for planetary, lunar or double star viewing. So I still need my normal eyepieces for these. Probably the main disadvantage for me is that it is tricky to get high magnification views with NV due to the focal length of the NV monoculars being around 26mm the requirement to keep the f ratio reasonably fast on most objects. Typically on nebula I operate at around 10x to 50x and for galaxies and globulars maybe push it up to around 90x. Higher than 90x in my largest 11 inch scope results in the image quality breaking down due to the high f ratio. Before getting the fonemate adapter, I had tried to take the occasional iphone photo, but with little success. I struggled to get the iphone at the correct distance from the lens and completely level so the photos were not satisfactory. When I received the fonemate adapter in December, this all changed, suddenly taking phone pictures was very easy. It was this ease of use that got me hooked on taking a record of my observations and I immediately wanted to improve the quality of them by experimenting with camera apps. I’ve been delighted with the output from my phone. I know that my photos are not going to win prizes but they provide an easy visual record of my observing and I get a lot of pleasure from taking an attractive image. I’m also beginning to learn some basic photography techniques such as iso control. The adapters to attach the phone to the NV device are a bit fiddly and it adds a bit of weight to the eyepiece setup, but other than that, I think this approach is easy to use and convenient. I’m very new to NV, having only received my NV monoculars in November 2017. But I’ve been so impressed, that virtually every clear night I’ve had since, I try to get out and do some NV astronomy. Its been quite a steep learning curve, but quite soon I had managed to capture an ok photo of my key initial target, the horsehead nebula. From there, I expanded into other objects I hadn’t heard of before, such as the rosette, monkeyhead, heart and soul, California and cone nebula. In terms of learning experiences, I’ve found that my images either come out grey, in which case they are a bit washed out, or if I set the iso lower, they come out an attractive (in my opinion) dark blue and have better contrast. With practice, I’m gradually improving my technique. It also became quickly clear to me that have a range of different aperture scopes is required to get the right image scale for each object. I now use a 72mm refractor, 160mm refractor and an 11 inch SCT (the C11 was bought just for NV on galaxies). In contrast, I use less eyepieces, my key ones being the 55mm and 32mm plossl and the 18.2mm delite. The televue fonemate adapter is straightforward to use. 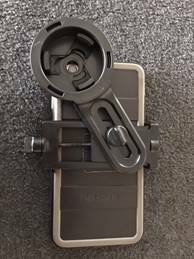 You loosen the locking nut, centre the phone camera lens over the hole in the middle, push the adjustable rods so that the phone is held tightly in place and then lock the nut again. Then the fonemate uses a dioptrix fitting to attach to the custom tnvc adapter which then locks onto the eyepiece of the PVS-14. The first time I used it I was all setup in a couple of minutes. It’s a solution that works well and is sensibly executed. I’m still a newbie to NV observing and I’ve got a lot still to learn. But I’m having the most fun I’ve ever had since I started astronomy 5 years ago. 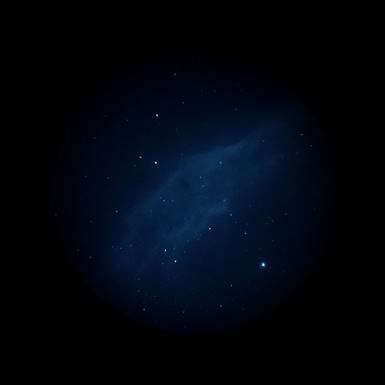 Just being able to see the horsehead nebula clearly with direct vision in my back garden in London has made it for me. However, the real surprise is the NV phone photography. This element was meant to be secondary (I have no interest in astrophotography), but the ease of use coupled with the great results has been amazing. I’ve really enjoyed sharing my photos with friends and family and I’ve got a nice visual record to look back on in the future. The next steps for me are to get to a dark site at new moon and see what impact this has. I’m also really looking forward to the late summer nebulas. Roll on the Veil!!! I live in San Francisco, just three miles away from downtown. Light pollution maps put me in a white zone. Naked eye limiting magnitude is generally no better than 4.0. Doing any kind of visual observing beyond the solar system objects and the brightest Messiers in my location requires a minimum of one hour driving to reach a green zone. I’ve had an interest in astronomy since I was a kid and while growing up I’ve owned a few small refractors and a small reflector (Edmund Astroscan). The largest aperture scope I own is a Celestron 9.25” SCT. 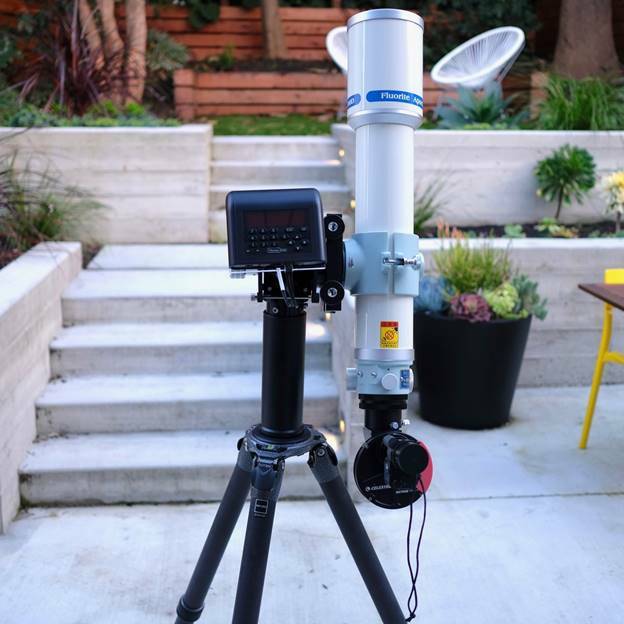 I’ve had it for over a decade and have used it in my backyard in San Francisco for planetary imaging and visual. It gets out to darker skies when I bring it on camping trips but its mostly been used in the backyard working within the limits of the light pollution. 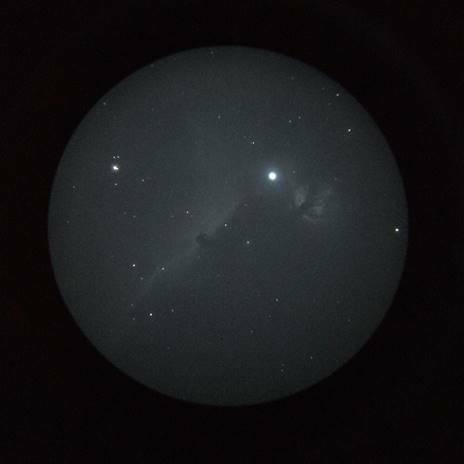 After a few years I found I rarely did any observing because dragging out the scope, tracking mount, counterweights, dew shield, dew heater, battery and waiting a few hours for the scope to cool-down wasn’t worth the effort given what I could view in the city. It wasn’t until I added a 4” APO refractor coupled with a light alt-az mount and a fast cool down that I found casual observing fun again. It was much easier to carry everything out and back in with one trip and required no planning for thermal cool down. The only problem was an even more limited reach from the much smaller aperture. Having some previous background in astrophotography I discovered the EAA (Electronically Assisted Astronomy) forum that promised the appeal of observing deeper in urban skies with less of the hassle of astrophotography. Through that forum I learned about those who were doing real-time visual observing with the help of military grade image intensifiers. While I was researching the experiences of those using night vision image intensifiers I also discovered they were very expensive. These aren’t digital devices which follow the advances and declining costs of silicone chipsets over the years. Instead, they’re extremely complex and hard to produce analog devices and costs have generally remained the same over the last decade with only performance specs increasing over the years. When I discovered all the advantages and versatility in use cases these presented for astronomy I decided to make the investment. 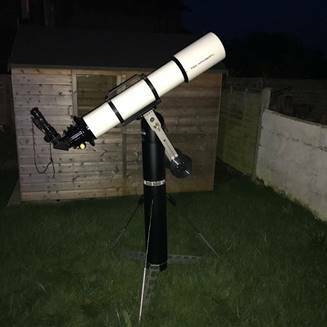 I had hopes of combining the advantages of small easy to use refractors with the effective reach of a much larger scope in dark skies along with the convenience of observing from home. In addition to using the NVD as an eyepiece I could also use it at 1x and 3x with small lenses, a setup that can fit in my jacket pocket. I currently have three scopes, a 4” refractor (Takahashi FC-100DF) 5” refractor (Astro-Physics 130GTX) and a 9.25” Celestron SCT. My night vision device is a L3 un-filmed white phosphor tube in an AB NightVision Mod3 body. I generally run the image intensifier eyepiece with a 2” 0.5x reducer and a 1.25” filter wheel. The filter wheel contains a 610nm long pass filter, 645nm long pass filter, 6nm Ha filter and a 2x barlow modified to fit in a filter cell. This allows me to quickly switch between different filters as well as the ability to quickly double the magnification. I’ve found the filter wheel to be a huge convenience as you can experiment with how different filters and magnifications effect the view. I’ve switched from a GEM mount to a light alt-az mount for visual use. All three scopes are able to mount on a Stellarvue M2 alt-az mount modified with DSC encoders from Astro Devices on top of a 5 series Gitzo carbon tripod. The entire setup with the 4” refractor, filter wheel, NVD, mount, tripod and Nexus DSC weighs only 26 lb out the door. The first nights out with the night vision device I used it as a 1x monocular with the 1x objective (Envis lens). I used a 1.25” 645nm long pass filter in front of the 1x Envis lens to block most of the light pollution. The views that I got in my backyard with just a 1x lens were incredible. Because there was no magnification I could comfortably keep both eyes open but while one eye was seeing the typical bright San Francisco sky with only a few stars visible, the other eye through the night vision device was looking into a star field as rich as I’ve seen it from some of the darkest locations I’ve ever camped. 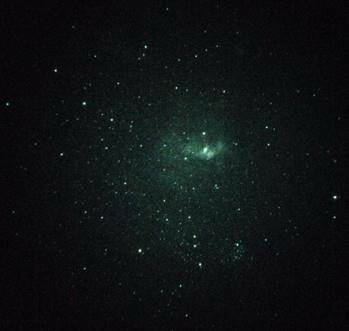 I could see down to 8th magnitude stars and M33 (Triangulum Galaxy) was a direct vision sight. This turned my typical Bortle 9 (Inner-city sky) into Bortle 1 (Excellent dark-sky site). 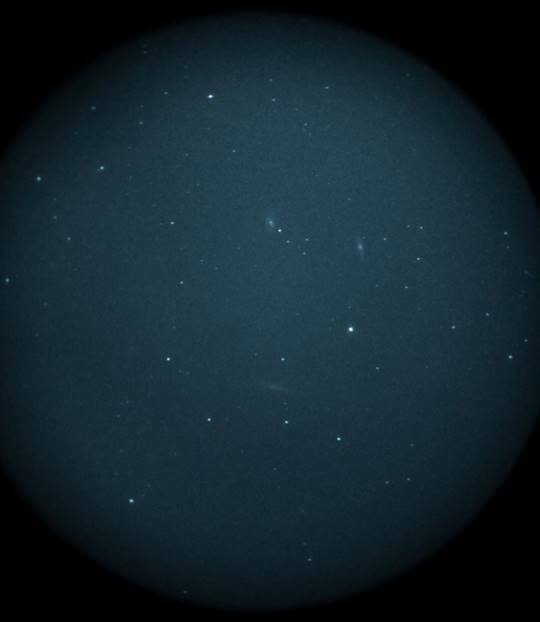 By attaching a standard military surplus 3x night vision lens over the Mod3 monocular I was able to get the three major open clusters (M36, M37, M38) in Ariga in one field of view. And by knowing exactly where to look even all three members of the Leo Triplet galaxy group were spotted. By using a 6nm Ha filter I’ve gotten near photographic views of the Rosette, California and Orion nebula along with stretches of Barnard’s loop. All of this in a device that could fit in the pocket of a jacket. Some of the most experienced night vision users have estimated a doubling of aperture (at minimum) when a telescope is combined with a night vision eyepiece. From my urban white zone skies I found this to be a very conservative estimate. For example globular clusters that were a faint smudge in my 9.25” SCT were bright and fully resolved in my 4” refractor. Similarly, galaxies that were averted vision targets in the 9.25” SCT were visible with direct vision in the 4”. I think a lot of this has to do with the huge gains in contrast when light pollution is nearly completely filtered out with long pass filtration. I felt like I was getting the combined effects of the doubling of aperture and the gains in contrast one gets when viewing from dark skies. I remember one night sweeping through the Virgo galaxy cluster with the 4” and seeing the field of view littered with tiny galaxies. I found it incredible that not only was I doing it in real time from my backyard but I was also seeing down to 13th magnitude galaxies with only 4” of aperture. I’ve been an amateur photographer for many years and have done some astrophotography in the past. Astrophotography is probably the most technically demanding form of photography that exists and doing it well with any amount of proficiency can require a huge time commitment. 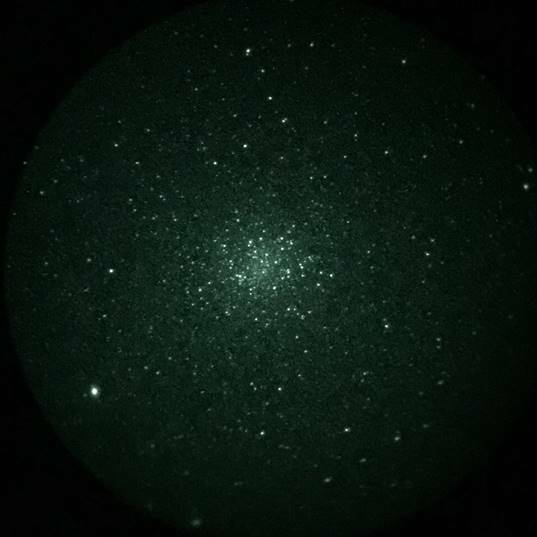 I started seeing the results of a CN member (Gavster) using his iPhone to take photos through his night vision eyepiece with great results. Some of the photos looked like traditional eyepiece sketches that represented the view an observer would see instead of the typical astrophotography images with detail and color that’s never visible to the eye. 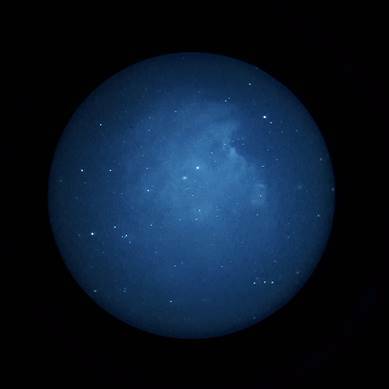 Where as astrophotography was a complex activity and one that’s usually mutually exclusive to visual observing, taking quick photos with a phone camera seemed simple and complimentary. I decided to get the Orion SteadyPix EZ Smartphone adapter. I’ve found it to be a great design that fits a variety of phone and eyepiece sizes. There are four clamps on the front that can be slid for sizing and position. Once the ideal position is found, it includes rubber strips to lock two of the clamps in place. This makes subsequent placement very easy. You only need to slide the phone against the locked clamps then slide the remaining two clamps in place and lock everything together with a knob in the back. There is a large knob on top of the device that opens and closes three rubber lined prongs to grip the eyepiece. The design allows for automatic centering of the eyepiece over the camera lens. While it’s not as secure as designs that are designed to screw into the night vision eyepiece, in practice it’s secure enough that I can use it in monocular mode where the entire adapter and phone is hanging below the night vision device. Because I don’t use a tracking mount exposures are limited to about 2 seconds before trailing blurs the image. Additionally, if the alignment of the camera and eyepiece isn’t perfect some uneven vignetting or aberrations with stars at the edge of the field of view can be seen. A short exposure also means there can be plenty of noise in the image from the small camera sensor. Unlike traditional astrophotography where great effort is put into making the images perfect, I view phone photography as a casual way to catalog what I’ve seen. All of my photos are unprocessed and straight from the device and there isn’t pressure to produce the best looking photo. I think they definitely show how much can be seen under major urban light pollution and small aperture telescopes. Even a photo with slightly trailed stars due to too long of an exposure can get the essence of the image and observation across. Small aperture scopes can give fantastic views of globular clusters. Because generation-3 image intensifier tubes use a gallium arsenide photocathode that is less sensitive towards the blue range of the visual spectrum objects such as galaxies see less of a boost with these devices. However the ability to filter out light pollution with a strong long pass filter means the gains can still be significant. Despite a small image scale I’ve found galaxies (and especially galaxy clusters) and small refractors to be an excellent combination. Despite the short amount of time I’ve had my night vision device I’ve viewed more deep sky objects from my backyard in white zone light pollution than I would have ever imagined was possible. The image intensification and ability to filter out light pollution has literally brought the universe into my backyard. The ability to quickly take photos of the eyepiece view without effort or planning has enabled me to start building a library of images to look back as references and to share with others. While many amateur astronomers have given up on the ability to observe at home because of increasing light pollution, I’ve found night vision has given me the dark skies I wish I had with the ease of use of smaller scopes and the convenience to observe right at home. I live in Modesto, the central valley region of California, at an elevation of 82 feet, with a population of 250,000. This is part of the largest intensive agricultural region in CA, extending from Redding to Bakersfield, more than 400 miles north to south. My home is in a bright red zone on the light pollution maps and all too often, I am lucky to see the brightest 5-10 stars in the sky. In winter, our weather can serve up some of the thickest tule fog imaginable. In the spring, late summer and fall, agricultural mechanization and sometimes wind will raise atmospheric dust to 600+’. This is not prime astronomy territory and for this reason, I almost never observe from home. Light pollution is bad enough on its own, but when it is combined with particulate pollution, it makes observing difficult at best. I’m almost 70 and have been interested in astronomy since 1970. I have read Sky & Telescope monthly since 1973. My first scope was a 90mm Mak in 1987. Since then, I’ve used and sold many refractors, two SCTs, other Maks, two Dobs, and a Dall Kirkham. For the past 8 years, my primary telescope has been a TEC 140mm, f:7 APO used with a Baader-Zeiss Prism diagonal which I previously used primarily for planetary and double star observing… less regularly for filtered nebula and open cluster observing. I built my own portable pier and manual alt/az mount. Combined weight of the mount and pier is 28 lbs., and they are rigid and smooth in operation with my TEC. I designed the mount/pier for fast setup because I almost always drive 40 miles from home, where I observe from a green zone, 900’ higher, located in the Sierra foothills, near Copperopolis, CA. Most often, I observe with a friend & veteran observer at the dark site. I also observe with a group of seasoned astronomers once a year when we all travel to a dark site for a week of camping and observing. You can see in the above photos that the NVD is no larger than many glass eyepieces. Traveling to an observing site imposes its own kind of equipment limitations. The size of my equipment, and the burden of its weight to load and unload, is of paramount importance to me. I comfortably handle my equipment, but I want nothing larger or heavier. 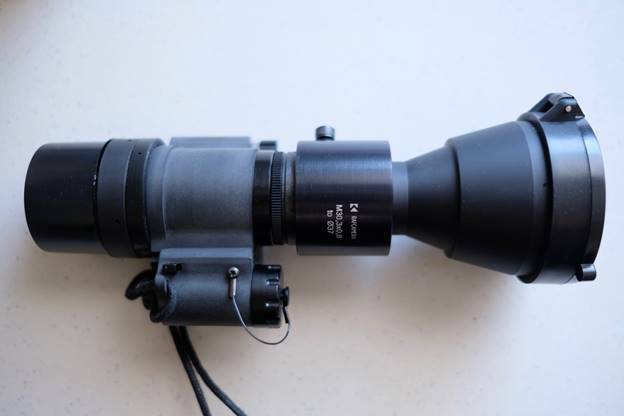 I really wanted to observe more from home so in 2012, I purchased a Collins I3, thin film, night vision eyepiece. In short order, I found it unsuitable for the conditions at home. Particulate pollution was terrible for the two weeks I had the Collins I3, as almond sweepers were throwing huge amounts of dust into the air in late August; and Sierra forest fires were filling the air with smoke. My window of opportunity to return the I3 was closing, so I called Bill Collins. When I explained my situation, he asked me to return it… he said that California’s central valley was known as one of the worst regions in the US for using his NV eyepiece. Fast forward to 2016, I began reading reports in the Cloudy Nights/EAA forum about NV and how it was being used so successfully to see more deep sky objects using filters… even under the worst light pollution conditions. I kept reading… asked questions of those knowledgeable friends in the forum… and talked myself into another NV trial. I purchased a Mod 3C with a high spec tube, Envis 1x prime C-mount lens and a 3x afocal lens. I ordered adapters and filters; IR filters at 600nm, 640nm and 685nm to combat light pollution at home, and 12nm, 7nm and 5nm H-a filters to see nebulae. To use the NVD as an eyepiece in my telescope, it came with a 1.25” nose. I needed only to unscrew the Envis C-mount lens and screw in the C-mount nose. Simple. But to give it a fair chance, I used it almost exclusively at my dark site. This time, a whole new window to the universe was opened for me with NV. My 5.5” refractor acted more like a 9” or 10” refractor. The NVD with only a 40 degree field of view was so full of stars it was disorienting and it made the views through my Ethos eyepieces look… sparse in comparison. Even from Modesto, I could see stars, globulars, and sometimes galaxies! But taking the NVD with the TEC to my green zone made it so much better. I had never seen so many nebulae. All I had to do was follow the Milky Way which seemed like an unending parade of nebulae… from Sagittarius past Cygnus, they were everywhere, and, I COULD SEE THEM in real time even at 1x! One nebula after another, I discovered their names and the form they take in my NV eyepiece. I often would scan the sky at 1x to see the “bright spots” that would become my telescopic targets. I looked new ones up later to read about them and see how my NV image compared to long exposure H-a images posted on-line. In late 2015, I purchased the NightCap Pro camera app for my iPhone 5 but did not really use it after initial attempts ended with marginal results through glass eyepieces. 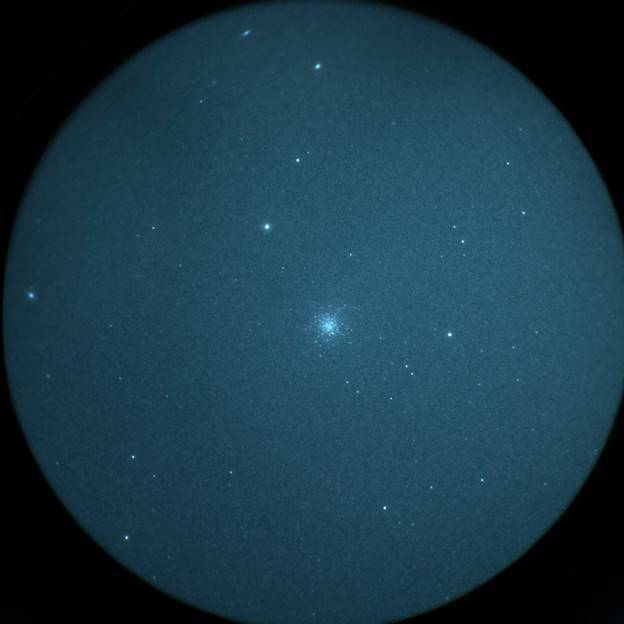 But after using my NVD for about 8 months, I took a snapshot in auto mode of globular cluster M-22 in Sagittarius. I couldn’t believe that I could take such a cool photo. I knew at that moment that I was going to learn more about this application and how to apply it to NV. This image essentially changed my perception about phone photos when used with NV. It is an unfiltered exposure, taken in automatic mode, hand holding the phone over the NVD eyepiece in my TEC 140. Meta data reveals that it was taken on August 28, 2017, at my green zone location; the auto settings were ISO-500, 1/4 sec exposure. Images of stellar objects like M-22 can be delivered in automatic mode with a short, single exposure because they are quite bright in NV. Below is the photo that changed my perception of astronomy phone photos. I learned the mechanics of photography 50 years ago in college courses and used manual film cameras for much of my career when needed. But I learned about NightCap one step at a time. When I started with it, I’d read the tutorial but sometimes did not apply the instructions for a week or more, until my next observing session. By then, I forgot half of what I needed to do. So instead, I practiced one setting or one mode at a time. I’d read and then practice in a dark closet during the day, before I observed that night. I’m a slow learner with some technology and this app was not intuitive to me. But eventually, I came to understand it, and now, it seems so simple to me. By January, 2018, I finally started learning about the Long Exposure mode, but using it required a fixture to hold the phone steady. At the beginning of February, 2018, I began using an Orion, SteadyPix Quick smartphone adapter ($25). 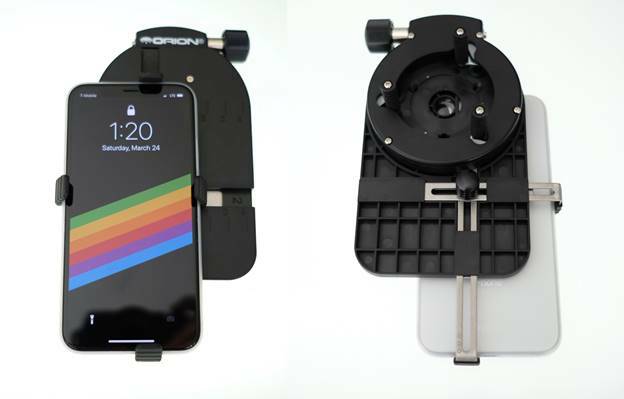 It is a universal mount that clamps my phone in place without removing its protective case, and with the clamping mechanisms tightened, it holds the phone’s camera lens centered over the NVD eye lens. It is made mostly of plastic, except for the screws in the clamps, and it uses neoprene rubber to protect the phone at contact points. This is a universal adapter, which means it will accommodate any size smartphone and can be clamped to any telescope eyepiece, binocular, monocular or microscope, as long as the top of the eyepiece is cylindrical, with 24-45mm diameter, and not tapered like some Pentax and TeleVue eyepieces. The top part of the holder is circular and when rotated, closes three plastic fingers against the top of the eyepiece. When tightened sufficiently, it holds to support the weight of the phone well enough. In operation, the device does what it is supposed to, with a few caveats. 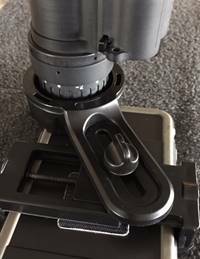 When the phone is clamped in the holder, the circular clamping device must be rotated to clamp the whole bracket to the NV eye lens. This process is a little awkward and care is needed to make sure the eyepiece remains perpendicular to phone as the clamp is tightened. And I often moved the phone off center from the hole that is supposed to align with the camera’s eyepiece during the clamping procedure. The problem is the small thumbscrew used to tighten the arm that clamps to the NVD; it is small and does not hold the arm firmly enough. I remedied this shortcoming (photo on R) by making a stout aluminum “washer” to span the wide edges of the arm, giving more surface area for greater purchase, and replaced the small 1/4”x20 thumbscrew with a T-handle knob that provides much greater leverage to tighten the arm on the mount. This holds the arm more securely and now it doesn’t lose its alignment when attaching to the NVD. I also drilled the aperture hole 1/32” bigger and chamfered the inside of it. Since I leave a heavy protective case on my phone, the camera lens sets farther away from the aperture hole, causing mild vignetting. The aperture hole is now large enough and tapered to prevent vignetting while leaving my phone in its protective case. I would say that for $25, my phone bracket is a good buy and it performs OK as is, but with my simple modifications, it is much more convenient to use. Convenience in use and the safety of our expensive equipment can be priceless in the dark. Because my home suffers from both light and particulate pollution for much of the year and because high levels of humidity are sometimes present during the winter and summer, transparency is often below average or poor. Poor transparency robs NV of performance and it’s not offset by narrow, band-pass filters. I have come to believe that for NV, “transparency” conditions are more important than “seeing” conditions. IC 59 and 63, Gamma Cassiopeia, ISO 2500, 1/2 sec. ISO 2000, 1/2 sec. for 4 sec. ISO 3712, 1/2 sec for 4 sec. I have enjoyed astronomy for many years and among the equipment that I have used, I value my NVD as much as my telescope and mount. NV has made it possible for me to see and to photograph DSO’s that were previously beyond my reach. I had no idea when I bought into NV that I would enjoy DSO’s, especially nebulae, so much. I have never had the desire to deal with astrophotography and the assembled equipment it requires. I did try attaching my Nikon D7100 to my NV device using a special adapter… thinking that the results would be superior. But I found the combination burdensome, time consuming to set up and adding more complication than I wanted. I gladly resumed taking NV phone photos. I am a visual observer at heart. Why then, am I having so much fun with NV phone photography? Because like visual observing, it is really very simple and fast… and it doesn’t disrupt the visual experience because it is so uncomplicated… and, of course, I already owned the phone which I often use with the Sky Safari app! The images that I’m compiling are going to be used instead of written notes. I load my photos into my computer, identify them with their common name, NGC, IC, or Sharpless catalogue numbers and add them to an index, so I can find them later. It is a very fast and visual way to record what I observe. The meta-data attached to each photo provides the date and location of my photo along with the settings. If I’m observing many targets during a session, I can photograph all of them… one night I took snapshots of 16 different targets. It is that fast and easy. My phone snapshots won’t win any photo contests, but they are good enough to refresh my memory and are a lot more fun than my written notes… especially when I look at them on a Cloudy Night. Thank you, that was very informative for me. Do you think a nvd / phone would work better with an 8 in SCT or a 16 inch DOB if both have go to tracking? I’m in a light red zone at home but have access to a light green area. Thanks - VERY nice! And, my situation and motivation match yours. I will be doing mostly visual, with the NV ~eyepiece~ among the others, probably in the focuser about half the time. I used to do a LOT of ambitious imagery back when hydrogen-hypered film was king and DS difficulty was torturous (vs merely extremely challenging). Now, I'd like to gently ease back into image-capture to compliment what I am looking at and provide documentation and nostalgia for those cloudy nights. 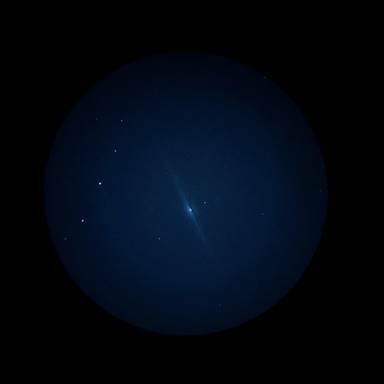 NV quick-snapped images, thru the eyepiece, sure seem like a wonderful way to achieve that. Don't care that it doesn't approach the exquisiteness of marathon CCD all night and next day to record/process one ebullient show-piece triumph. All I want is a snap to remember what it looked like thru the eyepiece. Exciting! Ummm... I don't have a phone that takes images... wait... wait... MAYBE mine DOES?! High-end photography (and astrophotography) is a lot of work and money. I'm more a snapshot at the beach kind of guy. Phonetography sounds perfect for me, very casual and won't interfere too much with my visual observing. After reading your article I felt motivated to get one of these eyepiece phone adapters. Not only for my NV eyepiece, but hoping I can get some results with bright double stars too. Just like with glass eyepieces, you will always see more with greater aperture and/or from a dark site. But with NV, the speed of the optics is also very important; the faster the scope, the better your NV device can perform. Think of NV in terms of one scope at a time. For small open clusters, globulars, and nebulae and to a lesser extent, galaxies, NV effectively doubles your aperture. An 8 becomes 16... a 16 becomes 32. BUT, speed can play a significant role. A fast 8" scope (say an f:4 reduced to f:2.8) can show an incredible amount of nebulosity that a slower scope with narrower FoV could not compete with. But that doesn't mean that NV does not work well with an SCT that has a much longer focal length and slower focal ratio... you might like views of galaxies or very small nebulae better at the different image scale. Keep asking questions though... you will get more answers. We NV'ers are working on an introductory pinned thread that should help link informational basics for those looking to try NV or for those who are curious about it. In the mean time, below is a link that gives a lot of information. After reading it you might have lots more questions. question - do you thing samsung is better with longer exposure or smaller stacked exposures with iPhone? Ok, got the Orion SteadyPix in my hot little hands. Might even get to try it out tonight! Perhaps it's time to start a thread somewhere such as "NV Phonetoghraphy Results" to collect/centralize images people may want to share? The Samsung with longer exposure times should produce better results if you have a tracking mount. I'm not sure why iPhone apps don't let you do real longer exposures, must be some strange limitation in iOS. Thank you, it was a very informative article. Aesthetically, it's obviously not on the level of a good longer exposure photograph with a larger sensor and I don't see it replacing that any time soon. But where this might be interesting would be for things like supernova watches or for any other transient event searches people might do. Question for Ray; You say that you made an attempt to use your Nikon D7100 and I assume that you actually assembled this DSLR imaging train; so did you take photos with the DSLR? And if so, were the images better than with your IPhone? If photos were taken with your Nikon, please post those images. I did take a few photos with my D7100, but they were before I was using a tracking mount and I found them deplorable... I simply deleted them, sorry. My main objection to my Nikon was the size/weight and the need to select options from the LCD screen. If I had one of the "retro" camera bodies that have returned mechanical knobs to the top of the camera for exposure selection, I probably would have been a happy camper. I have been very tempted to purchase one of the mirrorless 4/3 format Olympus cameras which present a smaller physical size & weight. With my Nikon, it just seemed cumbersome and more of a burden than with the phone & bracket.